“ʔi, čəxʷ syaʔyaʔ” means “hello friend” in the Lushootseed language. Did you know that the Marysville School District serves more than 1,200 Native American/Alaskan Native students? Our Native American student population primarily consists of Tulalip Tribal citizens with other tribal students representing approximately 79 federally recognized Tribal Nations. Our Indigenous Education Program is designed to assist Native American/Alaskan Native students in grades K-12. Our role is to provide a safe place for Indigenous students to learn and grow while honoring their rich cultural heritage. We are proud partners with the Tulalip Tribes ensuring our Native students are honored and well supported. 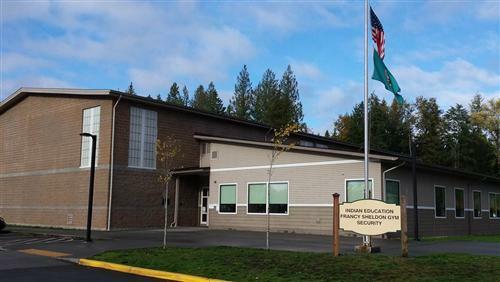 The Marysville School District Indian Education Department and The Tulalip Tribes Education Department have joined forces to provide extra support to all Native American students. Our Native American Liaisons and The Tulalip Tribes School Advocates, work side by side together at our schools. Access and print the contact list HERE. Pick up @ Youth Center: 7:40 a.m. Pick up @ Boys & Girls Club: 7:37 a.m.
Drop off @ Boys & Girls Club: 3:20 p.m.
Drop off @ Youth Center: 3:32 p.m. Pick up @ Youth Center: 6:30 a.m. Pick up @ Boys & Girls Club: 6:25 a.m.
Drop off @ Youth Center: 3:23 p.m.
Drop off @ Boys & Girls Club: 3:27 p.m. Bus #93 will drop off at Youth Center at approximately 3:05 p.m.
*Please be sure parents/guardians are contacting the schools giving permission for the students to change their bus stop.